APPROX AUGUST/SEPTEMBER DELIVERY! THIS MAJESTIC TWO STORY HOME FEATURES AN OPEN FLOOR PLAN W/ 5 BDRMS PLUS LARGE LOFT, 3 CAR GARAGE, FULL UNFINISHED GARDEN LEVEL BSMT ON A CORNER LOT ACROSS FROM POOL AND CLUBHOUSE! DELIGHT IN YOUR LARGE CHEF'S DREAM KITCHEN W/ FULL GOURMET STAINLESS STEEL GAS APPLIANCE PKG, SLAB GRANITE COUNTERTOPS, GORGEOUS KONA MAPLE CABINETS AND BEAUTIFUL EXTENDED WEATHERED HARDWOOD FLOORING. HUGE FAMILY RM THAT IS PERFECT FOR ENTERTAINING! LOVELY SPACIOUS OWNER'S SUITE WITH 5-PIECE BATH. ENJOY THE GREAT OUTDOORS ON YOUR EXPANSIVE COVERED DECK! IMAGINE LIVING IN RENOWNED COPPERLEAF WHERE RESIDENTS ENJOY PARKS AND RECREATION, BEAUTIFUL SCENERY, CLOSE PROXIMITY TO SHOPPING AND DINING, AND A 4 ACRE COMMUNITY SPACE WHICH INCLUDES THE AMAZING ARBORETUM POOL AND CLUBHOUSE! FULL FRONT AND REAR YARD LANDSCAPING WITH IRRIGATION SYSTEMS AND FULL YARD FENCING ARE ALL INCLUDED. 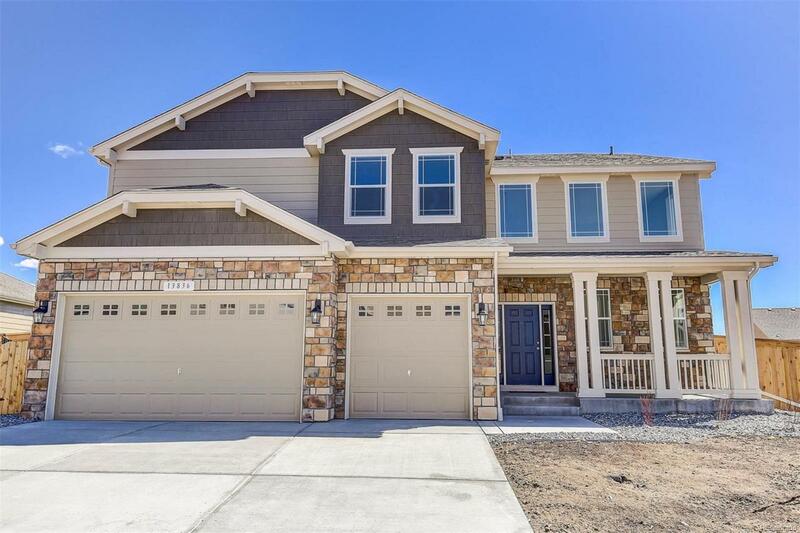 NEW HOME WITH BUILDER 2-10 LIMITED WARRANTY. PHOTOS ARE REPRESENTATIVE-NOT OF ACTUAL HOME.